“B.o.B.” Bobby Ray has an infectious stage personality and gave me a run for my money when he hopped off stage to work the crowd. This is why he has his own post. 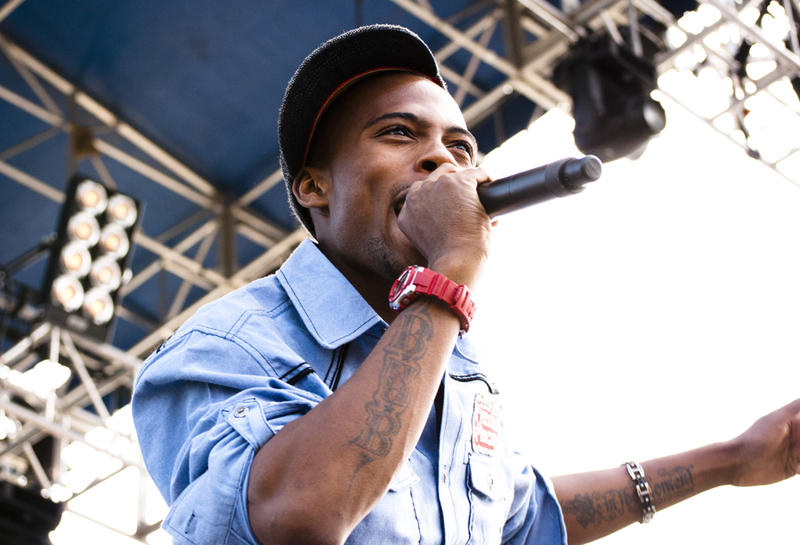 Unlike the other artists during the Sun God festival, B.o.B. really made an effort to engage his fans, and I was really appreciative of that. Nothing kills concert photography more than boring performances. 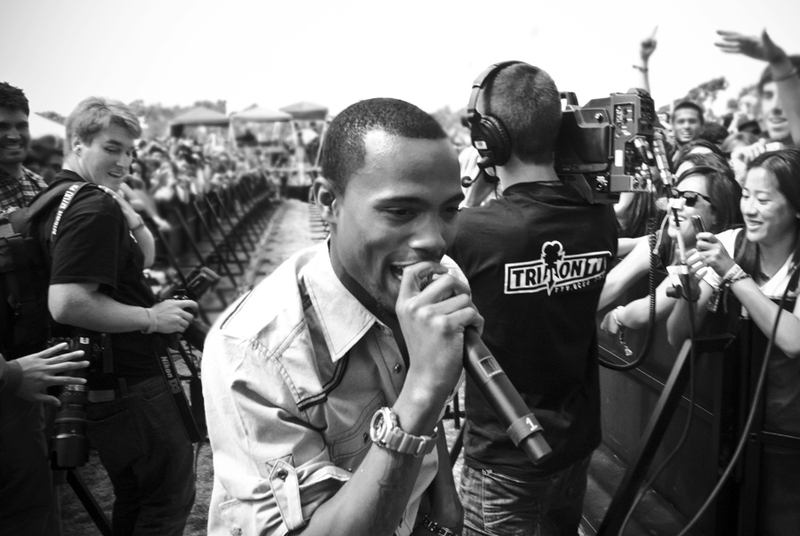 B.o.B was a class act. And when they throw you off guard, dealing with someone like this takes photography to all kinds of levels because your variables change tremendously. Generally you have a range of settings you know to switch between when a performer is on stage because the light and distances are more or less constant. I had the presence of mind to act quickly and account for the additional light in the unshaded area right in front of the stage. I was also at the right place at the right time and certainly captured a perspective unique to me, which the other photographers severely missed out on. These are those off chance events I’m looking for. Because anyone can take photos at a concert. But not everyone is presented with those candid moments that make give those photos a story. I was amped with adrenaline when I took these photos. 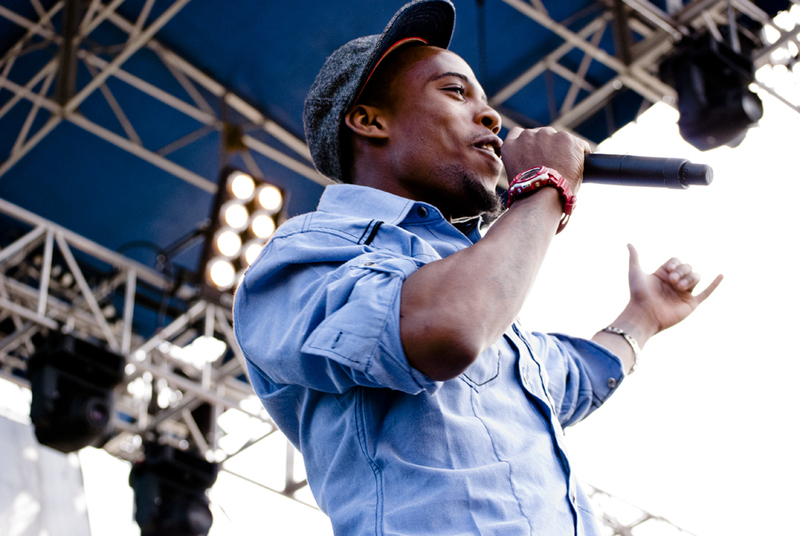 B.o.B’s performance was one I was really looking forward to. He completely set the bar, and all the other performances were just whack until Relient K and Drake got up there. 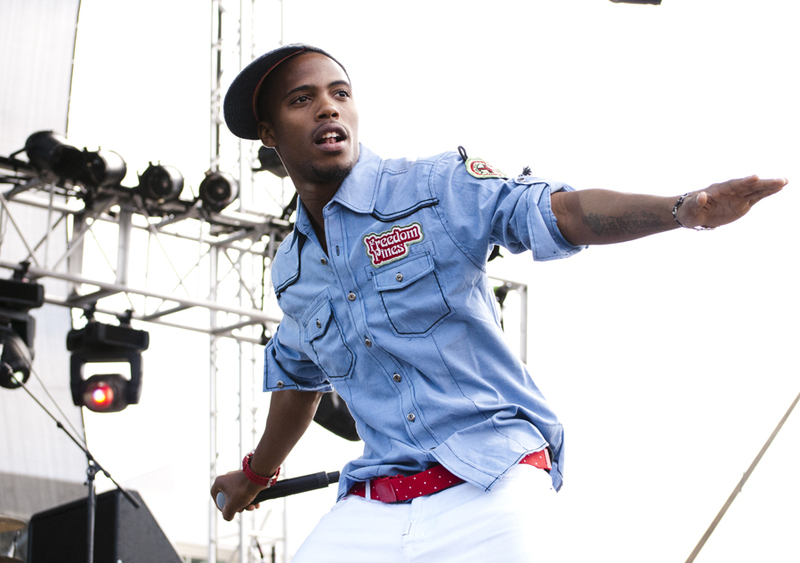 Category: Featured Tagged: B.o.B., B.o.B. Sun God, BoB Sun God 2010, BoB UCSD, Bobby Ray, Outkast, Sun God 2010 B.o.B.